Here’s 2 easy ways (which have worked for me) to make sure you’ll keep your Rosh Hashana resolutions this year. 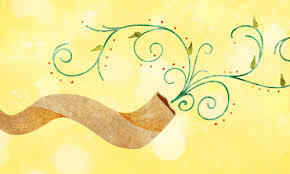 We just entered a new Jewish year, and each one of us hopes to change this year–to be better people with better lives. But I have some scary news. Statistically, only 8% of people will keep their New Years resolutions. So how do you make sure that you will be in that happy 8%? Here’s 2 ideas that have worked for me. Suggestion #1–When setting up your goals, think small, microscopic even. Aim for 1% changes in the way you live your life. Want to spend more quality time with a certain child? Aim for 2 minutes a day. Want to be less distracted when you pray? Aim for 1 blessing a day said with focus. Want to eat healthier? Aim to eat one more vegetable a day. But If we make such teensy changes, how will it make any difference at all? I’ve seen repeatedly in my life how these seemingly insignificant 1% changes can lead to major changes in the quality of my life–in my health, in my mothering and marriage, in my emotional wellbeing and in my spiritual connection. Suggestion #2–Review your goals for the year every day. Here’s what I do: every single morning I read over a few of my goals for the year, so I end up reviewing all of them at least once a week. If you pray every morning, you can keep your page of goals in your siddur to read after davening. That’s what I do. And every morning, I plan my day so that I will be working towards at least 3 of my goals for the year. This might sound overwhelming, but it’s not. These are 1% microscopic goals. Again, to review, keep your goals microscopic and review them every day.